We're. Offering everyone this. Is Rohan I'll. 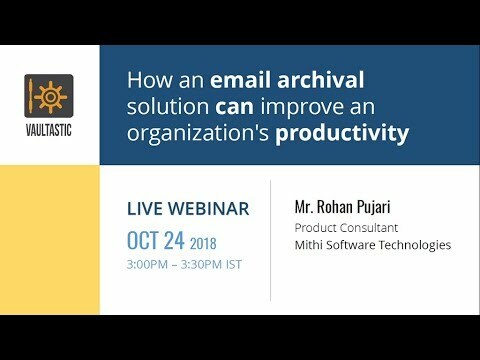 Be your, presenter for today's webinar on how an email archival solution can improve an organization's, productivity. So. As we've, been discussing in our previous, webinar, sessions you, know in today's life or, in, today's, world email, has gained, tremendous importance. In. Libre, transactions, around any any size, of businesses, so a. Couple. Of research. Materials. Suggest, that more, than 70%. Of business. Critical knowledge is contained, over and, only. Through emails, and attachments. Okay. So email. Has become a default. Notification mechanism. For a lot of digital systems so everything, from IOT. Systems, to e-commerce portals. Generate. And communicate, through, an email now. As a as, business. Has become more digital organizations. Need to preserve it so that when individual, employees come, and go the email records, continue. To be available for reference or for audit purposes depending, upon the. Use case. The. State of email archival, that was and in many cases still. Is so what. We want to do over here is firstly we are going to check what, kind of traditional. Mechanisms or Arrangements, we have in, place, or have, been using and. What. Specific, challenges. Or. Limitations. Do these, traditional. Methods have. So. Traditionally, email, archiving has been about storing. Data safely, over the long term with, the intention, of being ready to cater to post-mortem, incident, investigations, or forensic. Analysis. However. Packing. Of data typically, splinters, it across, storage volumes and mediums. And renders, it pretty much unusable when. Required on demand. This. One of the limitation, you can talk about that the. Typical traditional methods, that have been used, it, pretty, much allows. You to simply, collect the data however becomes, really difficult or, unusable. When. You actually require, to refer to the data a. Couple. Of traditional. Methods to store historical, data are backing. Up data on to USB, drives every week or it, you know the timeframe may change on a daily basis, or weekly basis depending upon the, size of the data that you are saving. Journaling. Email of multiple, users into a single archive box. The. Third one would be archiving, data to local PCs and. Lastly. Taking, periodic, server, or back-end backups, so, these are the typical traditional methods, that we, have identified or, have been used by organizations, to. Try and safeguard. The email data of the, end-users. Now. These methods, as we mentioned, earlier give rise to a number of drawbacks which, can put organizations. At a greater, risk of data loss so. Let's, take a quick look as to what kind, of limitations, or drawbacks, are we looking at. The. First one is mixed mail now. The mails of all users are collected into one particular. Location making, it difficult to sieve through the mail and, in. Case you need to recover the mail of a specific user or a. Few users so what this particular means is let's, consider. Let's. Say we, set up a forwarding rule or we, make arrangement, wherein we, create a common, mailbox for. A particular user which is the archived mailbox, and we. Are allowing, or, setting. A rule, for. The end users where, the, emails, are, being. Forwarded to that common. Particular. Mailbox, or archive world. You can say now. Because. It is going to be a single. Postmaster. At, access. Or account, you've. Been you. Will be keeping on adding, the data to a single account eventually, increasing. The size of that mailbox to, add to this it. Becomes really difficult to. Identify a, particular email also through. Email, because, of the large data size it would end up. The. Next one is limited, storage now, with a backup on premise, or in in. A many-to-one, system, you, get restricted, with the amount of storage available as, our, users grow you will have to either buy additional storage or find, a way to manage the growing store a very. Simple, use case let's, say if you, if, you're backing. Up your data and storing the data on to USB drives or hard drives these. Are physical devices which have limited, storage or limitation, to the scalability. Or flexibility, you can achieve with these physical. Devices so, in in situations. Where In your number of users are increasing, or the data size increase, eventually. You would have to put in more hardware, which. Again. Reduces. The. Flexibility. You can expect, out of the solution so. You will have to keep on adding USB, drives or hard drives as and, how as and, when you number, of users increase of the data size increases. The. Third one is no self-help. Now. With the male's of all the users in one platform individual. Users cannot, access these backups as this. Could, cause privacy, issues thereby. Reducing the productivity, of both individual, users and the IT team now, this is a very common, scenario we've. Been encountering with a lot of organizations now, typically, because. It's a central, access, or a single mail box or a vault where, all the, data across. Users, gets dumped, or saved, it's, only the administrator, who's given the right to access that archive data or backup data in. Order, to, retrieve. A particular. Mail the end user, is required, to raise a request, with the IT admin, it could be through a ticketing. System or through an email, there. In the IT team will spend time effort, in, searching, through the database trying. To identify the particular. Which, the user is trying. To retrieve and then eventually. Forward. It back to the end user so. If. Effectively. Both, the. End users, as well as the administrators. Are getting, impacted, when it comes to. Performance. Or productivity. Of both the teams. The. Next thing is no deep searches. Now these methods of stories that we've, been talking about the traditional ones do, not allow for any deep indexing, making it extremely difficult to perform ediscovery searches for understanding, patterns or. Discovering. Knowledge of a certain type. To. Give. You a more. Relevant. Example. Let's see let's consider that you are saving. All the data as a PST. Now. As a PST, I understand. How, efficiently. We name the PST, or, bifurcate. The data you. Would still be required to. Kind. Of whenever. You, need to access the data it would be first required, to identify, in, which. Particular, PST, is the data stored, now, once you've identified you. Would have to then download. The PST, or sync, it with desktop. Clients, like Outlook, or Thunderbird to, be able to actually search through the data or to, make it readable and. Lastly. Once the data is synced with the desktop client that's. When you would be able to or you would be in a position to, perform. Surges. So. This, if you see is a. Very, tedious as well, as time-consuming process, and. Searching. Or performing, deep searches, on on such our. Traditional, methods is really. Difficult. Know. Completeness, guarantee. A very. Important, factor to consider when it comes to traditional methods of email archiving is due to the periodic nature. Okay, so no completeness, guarantee. Due. To the periodic nature of the capture function it is likely that the, changes, between. Two backups, will. Be lost a typical. Scenario would be let's. Say you. Schedule, a backup. Towards. The end of the day let's, say you're. Working your, users, and ships, as. On 6 p.m., every, day and you've scheduled a backup at 8 o clock. So. Between. Two backups, if by. Any chance there, are any changes made, to the mailbox like a user deletes. A particular mail or forwards, a particular mail that. Particular, change can, never be captured so, basically backup, is nothing but a snapshot of, the entire system at that. Particular instance, when, the backup schedule, so. This eventually. Offers. No guarantee, that 100%, of. Your data will be backed. Up or covered, that. Doesn't give, you the peace of mind, that there is not going to be any kind of data leakage, that is happening. The. Next one is not. Tamper, proof therefore. Not, immutable. The backups are stored on devices which can easily be tampered with by the custodian, rendering, the data not, immutable. Another. Very Important factor when it comes to security, of your data the sole purpose of having a backup or archiving, arrangement, in place to ensure that your data is safe, so. That whenever in future, the data may, be required, to for, reference it can be accessed and retrieved, now, when considering. The. The method where you are saving the data on physical devices, there. Are lot of limitations, a lot. Of challenges, that you may encounter like. For example the, device is getting corrupted. Tapes, for example, or hard drives they end up getting corrupted local. Devices get lost, or get, misplaced I would say, so. Having. Data stored on physical devices is again, not a very. Encouraged. Method of saving your data or you, know a method, a foolproof method of storing, your data or ensuring, that your. Data is 100%, safe. So. Thus. Maintaining, and accessing historical, archives, capture, and capture. Storage and access is, a human, effort intensive, activity and it's prone to take very long so we've, been discussing a lot of methods a, lot of arrangements, like saving, your data on tapes hard, drives USB, drives or local devices all. These, methods include. Manual. Intervention. From, end users in. Both adding. The data to, the archive, or vice. Versa as an, administrator, you would still be required to physically, locate. Or search, through the PST, files or the backup data and then. Search. Through the data to. Share the end result, with the. Request. The user requesting, that particular data. Okay. So business, performance, and productivity takes a hit when institutional. Knowledge is dispersed. Inaccessible, or lost a very important, factor, now. As we mentioned, there, are two parties involved, in the process of getting the emails backed up or archived one is the end user so, if you're using desktop clients like Outlook or Thunderbird to. Have manual, backups taken it is the end users responsibility. To actually move the data from your live mailbox, on to the archive folder the. Next, step. To it is once, the mail. Is archived, or moved to the archive, folder. We. Need to create either manual. Backups, or. Scheduled. Backups. The. Third step would be for administrators. To be able to access the, data whenever, required again. There is a lot of manual, intervention involved. The, users, would first be required, to generate. Requests. With the IT admin, post, which the IT administrator, is going to search through the PST, is to identify the. Correct PST, in which the data would be saved, accordingly. Seeing, the data without loop again and, try. And search through the day, the. Requested data basically so. This. Particular, method. Not. Only impacts. The productivity, for end users but also the administrators. Are required. To spend valuable, time, in searching, through email, database rather than spending time in more critical, IT, projects, so. It's impacting, the productivity, of both end users as well as IT administrators. Eventually. Disrupting. Or creating. Issues with the overall business productivity. Let's. See the present, the future of email or casual platforms. Now. As a vision. What. We encourage, or what, we've been encouraging, or a lot of organizations, have been encouraging, within, their, IT, environments. Is a centralized, approach, using. A cloud-based email, archiving system now. What. That would bring, to. An organization. What kind of a benefit. That. This. Particular centralized. Approach or cloud-based, email, archiving system will bring, for organizations, is maintains, knowledge. Online. And search ready so. Ensuring, that your, data is always online, instead. Of saving it on physical devices all you, would be requiring, is access. To Internet and your, users or administrators. Would. Be able to access the data whenever, required, it. Also reduces, risks, you know there have been a lot of cloud, players. To. Be in today's day who, are offering very robust. At the. Same time very efficient. Cloud, infrastructure. Solutions. They. Have their own security, measures in place to ensure that your data is not only safe, but it's also readily available whenever. Required, to access now. This, helps employees, become more productive so, the last point which we discussed, under the, limitations, or challenges, that the, traditional methods. Encounter. Is productivity, now, with, a solution. Wherein, which, is always, online where, the late is readily available as. An. Organization, you can offer, end-users. A direct, access to the archived data so. Instead, of every time reaching out to the administrators. They, may simply. Log in or access. The archived data themselves search. For the data and retrieve. Now. This eventually, is going to ensure. Completeness. Of the archive now, inline archiving, which is you know archiving, in real time, means. That incoming and outgoing messages. Are captured, automatically, before, even, delivering, to the end-user a typical. Method is using. The journaling, feature which, is available, with almost, all popular, email platforms, now, this process ensures that every. Email is captured, stored. Without, any human intervention meaning. That you will never have to worry about losing out on a meal.now Post, delivery any. Action, by the users on their mailbox, has no impact on the archive so. Let's say you. Know you receive a particular, mail or a particular user ends, up getting a mail in the inbox even. Before reading. The mail the. End user simply deletes them in now. If there. Are arrangements. Where. You are archiving. The mails or it's an inline archiving, that arrangement, that you have in place even. If the end user deletes, the mail from the live mailbox, there. Is no data leakage or data loss that, is going to happen you may still. Log. In to, the archive, vault, search. For the mail and refer, to the mail or retrieve the mail whenever, required. The. End users get rid of non-productive. Routines so we've been discussing of the non-productive. Routines where every. Time as an end user if, they, are required to refer. To a particular mail, which they in minimum, may have deleted earlier. They. Would first be required, to get in touch with the IT admin, Razor. Ticket with them and wait, for the ID administrator, to be able to search through the data and then, share. It with the end user now, automated, email, archiving reduces, the need for you. Intervention. In the capture and store process thus, users, are no more compared, to delete nails keep. Local archive, of males on their own pcs deal. With bloated, inboxes, or sort. Of filter historical, emails into subfolders so there is no manual intervention required. Or involved, whatsoever. The. Next one is automate, data management, and reduce, storage, requirements, so. As it, says archival, enables a hierarchical, storage. Architecture. With, a smaller, primary, mailbox based on retention. End-users. Experience, a faster. 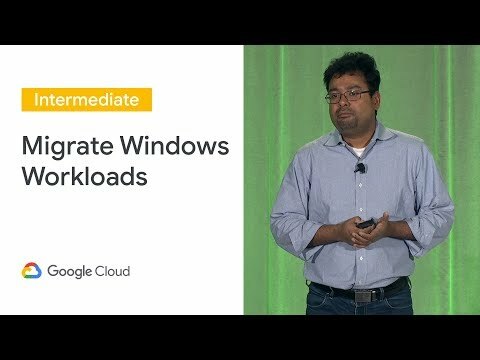 Client performance in, sync, and certain. Faster, mail, server performance, due, to reduce tourists consumption, now. Moving historical. Email of the corporate network reduces, the need for extra, storage extra. Backup capacity. And extra, management. Cloud. Archiving, platforms, like volt astok offer infinite. Contagious. Storage, at, a fraction of cost of in-house, archiving, a. Very, important, factor, one. Of the key, challenges, organizations. Experience. When when considering, for additional methods of email archiving, is the. Storage requirements, now, the first, point, that we discussed. 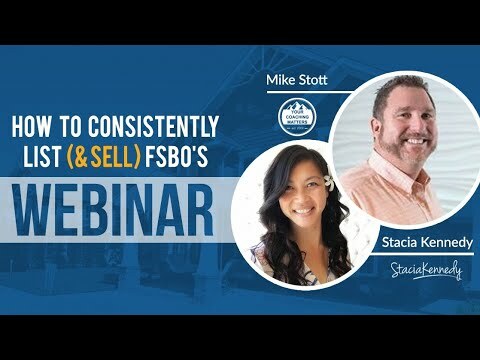 When we started the webinar is the. Importance, of email, and, the. Very high, rate at, which the. 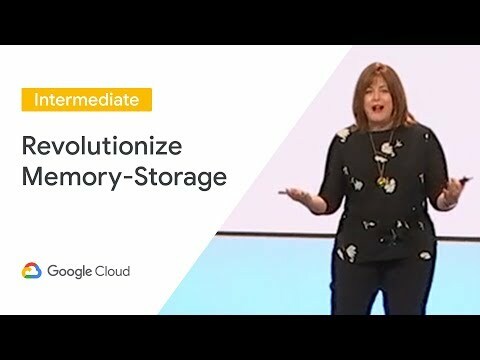 Storage, is being consumed, or or the. Dependability. Of, emails. Is increasing. So. Every, time there is a. Rise. In the number of users or whenever. The, allocated storage the. Physical device storage gets, exhausted, you, would have to end up adding, more storage or keep on cleaning. The. Old data. Now. Volt. Astok, email. Archiving solution. Which. Is again a cloud-based solution, who, stood with Amazon, Web Services. Offers. You unlimited, storage. Which, a. Variant. Of eventually, you know allows. You to get rid of any store, related, concerns you don't really have to keep track of how much storage is been consumed, or, accumulated, now, eventually, this. Also helps you in improving the performance of, your servers, so. The leaner. Mailboxes. That you have becomes. Easier, for. End users, to quickly receive, or send the emails, which, again is related. To the performance of the. Email solution that you are using. Improved. Backup performance, now with archiving, on, I'm. Sorry, which archiving the load on the primary mailboxes, can. Be reduced, with no risk keeping, the storage consumption, less on the email server makes it easier to backup and also reduces, a network backup time. As. A. Second, step of securing. Your emails let's say if you, have, arrangements. In place wherein it's, an end point backup that you normally take having. A solution a cloud-based, email archiving solution, will firstly ensure that your email data is safe. Then. At. The same time its guru reduce, or allow. You to keep Lyneham mailboxes. On the server. This. Eventually, is going, to allow you for, taking. Easy backups, at the end of the day. No. Local storage of email. Reduces. Security, risks data. Security is or has, been one of the prime concern, for businesses, traditionally. Users are trained to offer extra, or old data into. Local folders and back them up using USB, or external, drives now, this puts the data at great risk, stolen. Corrupt, infected. Laptops are a commonplace. With. A central cloud email, archiving system you can freely implement, an automated, retention, policy on local, mailboxes, with, no action required by, users, thus, reducing, the impact of these weak links, so. When you are talking, about a central cloud email archiving solution, you're eliminating, any and. Every. Opportunity. Of, losing, out of your, data or of any, kind of data leakage happening. Instant. Discovery, of knowledge no matter how old or why your data is so, compliance, officers and managers spend. A lot of time looking for information, archiving. Solutions, are engineered, for more efficient, search and retrieval, since. All the data is in one place it's easier, and more efficient, for authorized, users to search across mail boxes. Of all users, now. There is no need of unproductive, manual, searches of multiple. PST files or archives, of ex employees and other splintered. Data pieces a very. Again. Two. Things to consider out here when we talk about email, archiving or backup there are two, you major use cases one is firstly only securing, your data to. Ensure that whenever you, need to access or refer. To old data you, have the data available, the, second important. Factor. Where. Archiving. Comes into picture or plays a very important, role is servicing. Ordet, or compliance, requirements. With. The traditional methods as as. We've been discussing the. The, auditor. Or the compliance, officer would, be required. To get in touch with the administrator. Request. For the data again. The process continues, of when, where the administrator, would search through the PS T's to. Identify which exactly. Is the, PST the data is saved into and, then, share. It with the auditor for, further processing, or analytics, now. Having. A cloud-based. Ready. To use solution. Or. Archive, vault will, allow, administrators. To directly. Access the data the. Data will, be always online, available. For, researching. Or monitoring. That. This eventually is going, to improve. The. Productivity of the. Auditors. Or compliance, officers. The. End users authorized, to search lead, now, workers spend a lot of time looking for information. Archival solutions which enable end-users, with self-service portal, discover, and recover. Mail without intervention, by the IT team can, bump up organization, productivity, many. Fold, so. We've. Been discussing the same point, you. Know. As. An. End-user imagine. Having, access, to your own archive, world being able to search through the world whenever required and, not. Requiring. To. Manage. Any. Additional. Devices, or applications, as, an. End-user your, life would be a lot more easier your. Productivity eventually, is going to improve and. You. Don't have to worry about any kind of data loss or data leakage. Next. Point is fast response, to legit Asian support. Vegetation. Support is gaining prominence in, organizations, as they go global a central. Email archive with a strong in discovery and recovery tool can, help find. And extract the required information quickly, and efficiently. Providing. Timely and complete support to litigation, there. Are a lot of compliances. Across. Industries, for, example, typically. The manufacturing, industry, as, a part of the contracts. With the vendors they need to maintain emails, or the, communication, that. They have with the vendors for a period of five. Years or till the time the contract is signed for similarly. When it comes to banking and financial, industry. They, need to maintain every, communication, for. Anywhere, between seven, to ten years so. All these compliance, requirements. Help. Or or, when you have arrangement, in place of, archiving. All, your, email communication, these. Help, you with any kind of, litigations. Or help, you support, the litigations, that, you may encounter as an organization, now. Recently. It's been observed that, email. Can. Be placed. As a proof. In the court of law so. We've, had, instances, where now. In financial, institutions just. Because they've had arrangements. Are. To, ensure that every. Single email that have been that has been sent and received has, been archived. They, were able to support their. Case. Or their. Side. Of story. In the, court of law. Collaborate. On search results, knowledge, or breach, discovery. Needs to be quickly shared with stakeholders, for comment, or action, and integration. With a collaboration, tool like ideal, can, help share quick. Help. Share information, quickly now, information, once searched. Can be uploaded to ideal which, they, can be tagged. Marked. To, groups, organizing, organize them for future use so, basically, what this point talks about is. Having. Collaboration. Tools in place like. Ideal will. Allow, users. Administrators. Compliance, officers, to. Share The data with the respective. Senior. Authorities, or the respective, team members, to, be able to quickly. Search. As, well as perform, analytics, or monitor, the email data, now. There are a lot of factors, when it comes to compliance, Azure, audits. Which. The, auditors. Or compliance, officers. Benefit. From is a. Tool which, is in discovery, now a discovery, is typically, an umbrella search which allows you or as, an administrator, or auditor to search through multiple, mailboxes or, across domains or in. Short data. Across, the organization, now, in discovery bits stored, and combinational, queries make, it really, easy to. Track watch, information, and identify. Specific. Patterns, now. The email archive is, the, corporate intelligence, and is, central, to the organization's, institutional, knowledge this. Knowledge, continues. To grow despite people coming or going and in, and, is an invaluable. Way to retain and build the brain of the organization, so. A lot of times we, encounter. Where. The senior authority, is monitoring, your emails, just to identify, specific. Patterns, what, kind of communication has, been sent out to the respective, prospects. Or vendors. Or probably. Anybody outside, the organization. Reusable. Search queries keeping. A tab on critical pieces of information or help maintain oversight, on the business communications. Organizations. Can use them like tags. To, the data that allows you to pull out certain kinds of information with, a single command refine. A query until it is precise and save it for repeated use, lastly. Capture, specific use, cases by industry, department, or business process in the search queries so. This talks or this is an arrangement, within, your, cloud-based. Archiving. Solution. That, will allow you to. Maintain. Or. Specifically. Sale. Particular. Queries, or search results, which you need to retrieve on a regular. Basis or refer to on a regular basis, you. Can tag these queries, or save these searches so that every. Time you need to retrieve. That particular information of, course the updated, including, the updated, data, will. Allow you to simply click. On the. Particular tags or so, you, know improve. The efficiency, of the search result, you, can add or, remove more. Qualifiers, to the search options. Available and. Get. The more refined or precise, data that you are looking to search for. Or. To conclude a quick summary as. We, today, saw you, know the typical, or traditional methods. Organizations. Have been implementing, to, try and secure, the data, specifically. When, it comes to email data or email communication. We. Also talked, about, the. Challenges, or limitations. These. Methods, or. As. An organization have, been encountering, due, to the traditional methods and then. As a cloud. Solution or what are we what. Kind of a vision we, propose to the organizations, who are getting impacted, by. Such Traditional, methods how, they can get rid of these limitations, improve. Their overall productivity. Not. Only for, end-users but, also for, the IT teams, the, legal teams and the, overall organization. Productivity. Lastly. The, productivity, and performance gains, realized through, a cloud archiving solution are compelling, providing. A definite, positive impact, on the bottom line and also. Enabling, the organization, to redeploy. The existing, human resource, on core business initiatives, rather than spending time in more. Of a donkey work searching, through emails, a. Quick. Overview of what. Volt, astok, email. Archiving solution, offers. Or a couple. Of key pointers, around the solution, the. First one is volt astok storage grows at 3gb, per second so, we. Have been getting a very positive response, across. Industries. And, across. Organizations. Now, with. The current. Or existing. Customer. Base that we have and with the new users, or. Organizations. That we are adding to the list we, are adding almost 3, GB of data every, second, even. As we are talking right now, mythic. Cloud overall. Transacts, approximately, 2 million plus mails on a daily basis and we. Are currently managing. Over 25 TB of archived email data alone. Now. When. We talk about the archived email data of 25, TB, all those emails are indexed, online. And search, ready. Lastly. Receive index, and store about. 400,000. Males a day so. We've been adding, data. On a daily basis, as. As the importance, of emails is increasing, so is the data that, we are saving with volt astok. These. Are a few of the customers, that, are. Are, currently, on the customer list that. We that have been benefiting, from. The cloud solutions, that we offer. This. Includes, not, only private. Sector, or specific. Industry, types we've got customers, and public. Enterprises, or. Government. Organization. Banking, financial institutions or districts organizations. And so on so. We've got more than. 500,000. Mailboxes, that are currently. Running. On flower. Appllo, partnerships. Include. Amazon, Web Services, who. Are we, are advanced technology partners with AWS, and, while. Developing, products. That we offer which. Includes volt dusting email archiving solution, we've used, approximately. 30 different web. Applications, from, AWS. Also. We are security, partners, for. Trend Micro, so, we, have, rendered Trend, Micro services. To, offer clean, mills for. Our, customers. Also. We. Are partnered, with service indicators, like Hitachi, and Reddington, as, resellers, one of the biggest, resellers that we have a. Couple. Of awards, and, recognitions, that we have received. Right. So. As I, mentioned that we've got customers, across industries, across. Company. Sizes or employ sizes, so. There. Are a solution. When you specifically, talk about volt. Astok as a solution, which. Will help you to. Archive your data and make. A make. Or, help, you in improving the productivity as an organization, we, also would, help you in. Complying. To various, compliances. Industries. Are required, to. Abide. By. A few of them would be HIPAA, compliance, which the. Healthcare industry. Is is, mandate. To. Follow or to be compliant, for and a. Solution. Like goal tastic that will allow you to ensure, that, every. Single communication, is. Archived. Ensuring, there is no data leakage or data loss happens. We'll. Will obviously support. Or assist. You in getting, a HIPAA, compliance, or. Being HIPAA compliant, apart. From that we've, been helping organizations. Come be compliant, with gdpr. We. Also support, IRDA, i compliances. And. We. Also members, of the CA star and MCC, ia so. When. It comes to a trust factor we. Have definitely, been, associated. Or helping. A lot of organizations. Not. Only to secure the data but also comply, with. The, mandatory. Requirements. Or legal. Requirements, that they have I. Once. Again thank everyone, for. Taking out the time and joining in today's session hope, it was informative and. We. Look forward for. For. Your joining. In the next webinar session, that we cannot thank. You once again and have a great.